WASHINGTON— U.S. and Cuban officials met at the State Department on Sept. 13, to discuss the mysterious health problems that have affected more than two dozen American Embassy personnel, a situation that led to a reduction in staffing at the Havana mission and a chill in ties between the countries. Later on Sept. 13, Cuban members of the medical delegation that attended the meeting told reporters that they rejected the conclusion by U.S. officials that the affected Americans’ medical conditions were the same across the group. They added, however, that the illnesses were legitimate and may have had a psychological origin rather than a physical one. 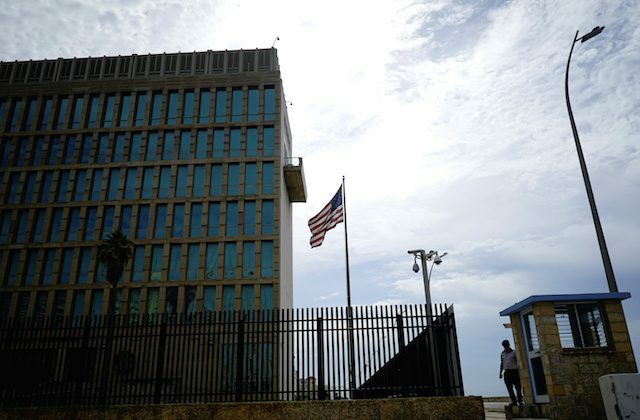 At least 26 Americans have been affected by a mysterious illness at the U.S. Embassy in Cuba with symptoms that included hearing loss, tinnitus, or ringing in the ears, vertigo, headaches, and fatigue, a pattern consistent with mild traumatic brain injury, State Department officials have said. But on Sept. 13, the Cuban doctors said their review of the evidence showed that only three individuals with mild to moderate hearing loss were found, which could have been from preexisting conditions. “Why do we have to look at the far-fetched hypothesis that some mysterious weapon was used to attack the Americans,” he added, citing the need for a new explanation and his willingness to discuss the science behind the U.S. findings in a future meeting hosted in Havana.